CABLE KNIT WRAP.... Can be worn in three ways, either buttoned on the side or in the front for a different look or even as a scarf. 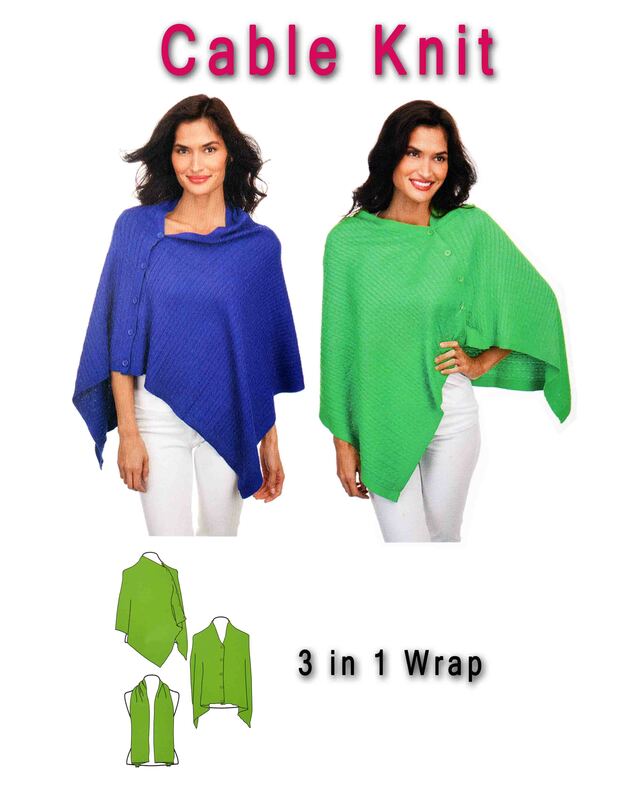 Since this cover-up does not have sleeves, it eliminates the "bunching sleeve" problem caused by sweaters. It's a reversible "bra-like accessory with sleeves" that is worn under clothing. 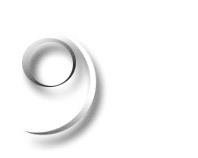 Can be used to dress-up clothes depending on the fabric worn. Available in lace or mesh fabric and in black, white or ivory colors. The wonderful thing about this item is that it actually covers your arms to make it look smoother ... even hides skin imperfections. Come in and try one on ... you'll be pleasantly surprised. 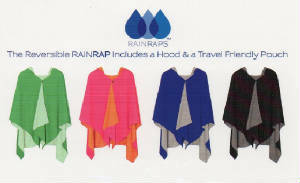 RAINRAP - A new, innovative accessory for the practical, fashion conscious consumer. 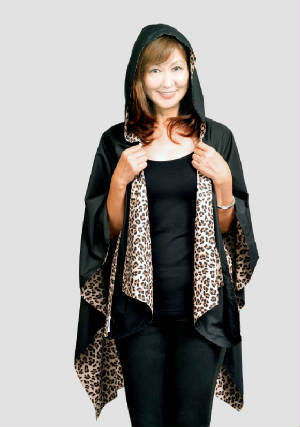 The design of the wrap combines the popular style of the pashmina and wrap. 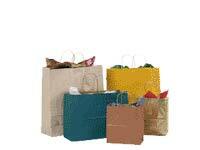 It is water resistant, reversible, light-weight, fast drying and easy to store. Weighs only 8.8 ounces. Lightweight, water resistant Rainraps are perfect for Hawaii's intermittent drizzles when you don't want to bother with a heavy coat or jacket. 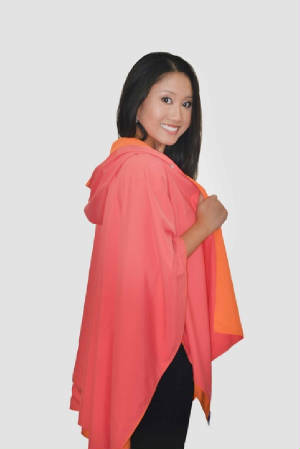 Weighing only 8.8 ounces, the hooded, reversible wraps come with a travel pouch and in 7 delightful color combinations - great for travel, watching your kid's game or dashing from the bus to the office or home.